Here are my simple instructions for posting your flowers to me. I promise, it is really not as tricky or scary as it first sounds. I receive about 3 bouquets a day through the post and they are always absolutely fine! Just follow these instructions carefully and your bouquet will be perfectly happy. Find a box the right size to fit your bouquet. If it is not quite tall enough you can always chop an inch off the bottom of the stems. Don't be scared - it's actually good for the flowers as they will drink better. 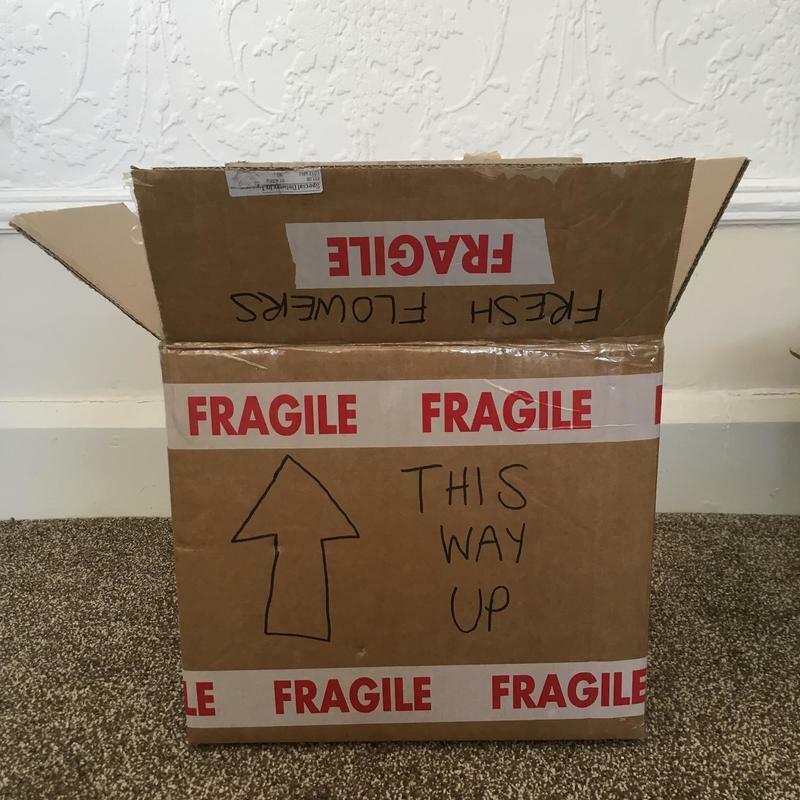 Make sure the box is not more that 60cms tall or the post office will make you use a more expensive option. 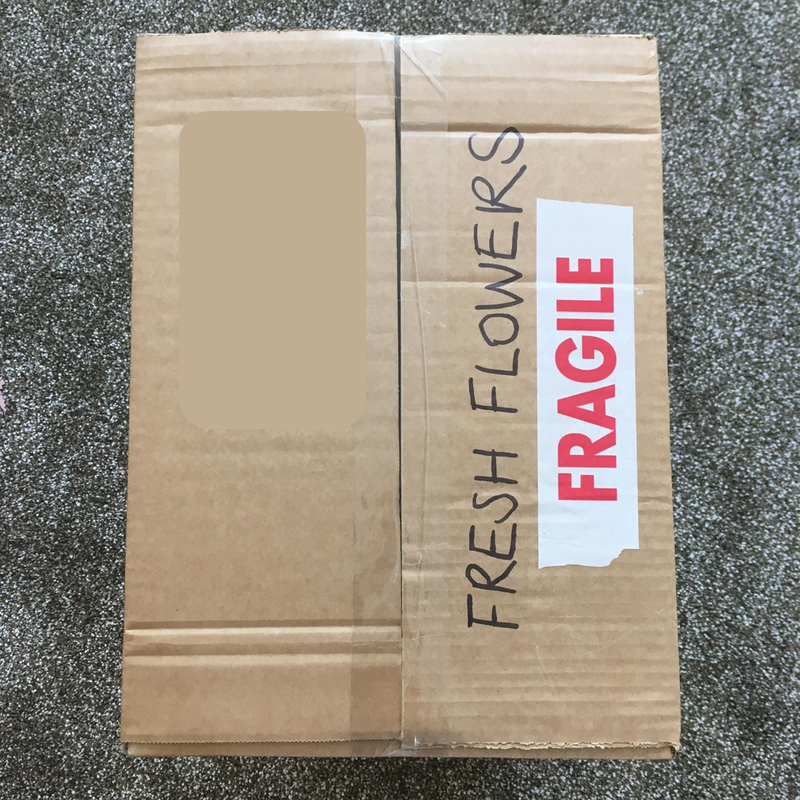 Write my address and FRAGILE FRESH FLOWERS on the box. Put a cardboard florists vase in the centre of your box. You could improvise with something similar, or you can buy one cheaply here on Amazon if you still have time. If you are super organised, you could even take the florists vase to the wedding venue to put the bouquet in once you no longer need it. Screw up newspaper pages and stuff them around the edges of the box to hold it securely in place. Do not use any bubble wrap or it might make your flowers sweat. If you are including any other keepsakes in the box, do NOT wrap them in newspaper or I might not see them. Wrap in a sandwich bag so they don't get wet. Trim the stems a little if you are feeling brave. The bottoms will have sealed themselves up since your florist made the bouquet so you will be helping them to drink better. Wet some kitchen paper and fold it up around the BOTTOM of the stems. Don't just wrap it around the sides. They drink from the bottom. Put a sandwich bag around the kitchen paper and the bottom of the stems. This will stop the water from leaking all over the rest of your box. Use an elastic band to secure the plastic bag in place. 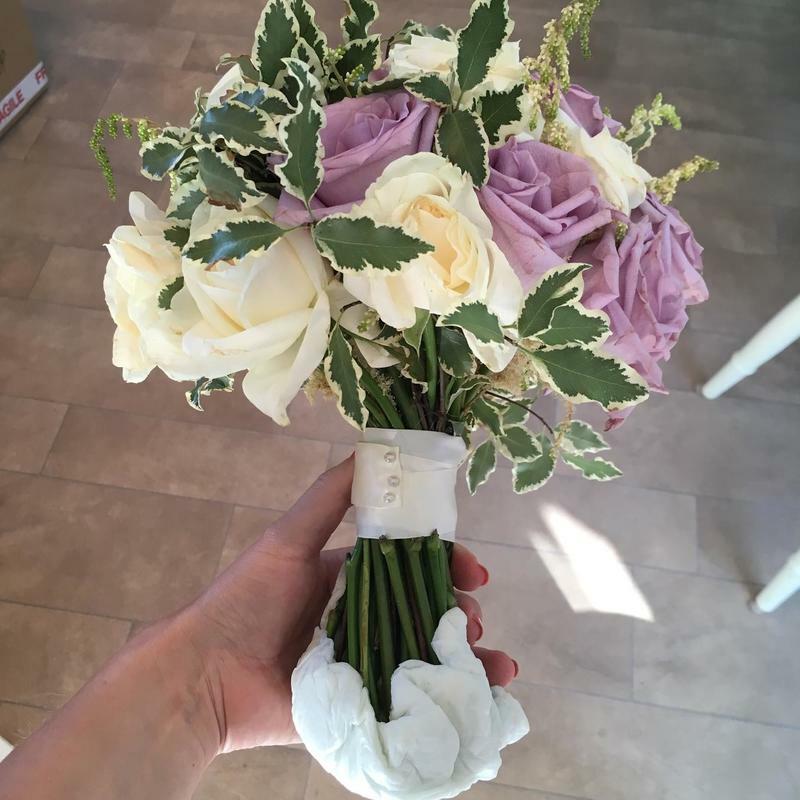 Put the bouquet carefully into the cardboard vase. It should fit quite snugly and not move around too much. 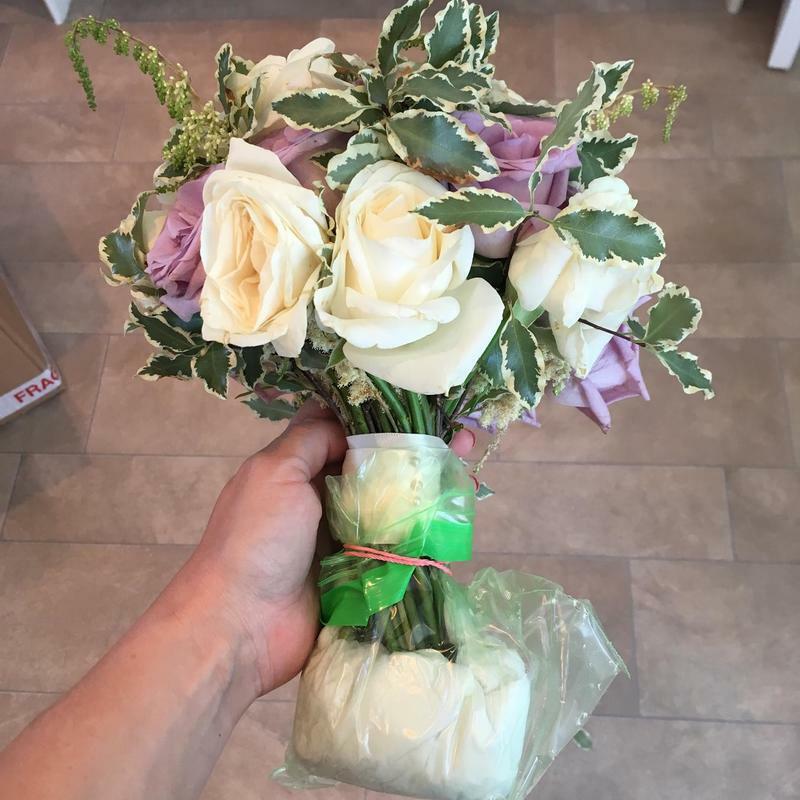 Put some more newspaper in the vase if your bouquet is too wobbly. Pack some more newspaper loosely around the sides and top of the bouquet. Fill in the form if you have purchased my P&P Pack or otherwise just include a piece of paper with all your details written on it. Please include your full name and your chosen style of preservation . Seal the box closed with sellotape. The address is already written on the box if you purchased a P&P Pack, or just ask me for the address if not. Take it to the post office and ask for Special Delivery Before 1pm Service. It should cost about £11. All of these items are pretty easy to come by but many brides want one less item on their to do list before the big day. For an extra £10, I can send you a P&P pack which contains all the items mentioned above. It will all be delivered to your door in a convenient bundle. This is a great option if you are asking a friend or family member to post the flowers for you if you are jetting straight off on honeymoon. 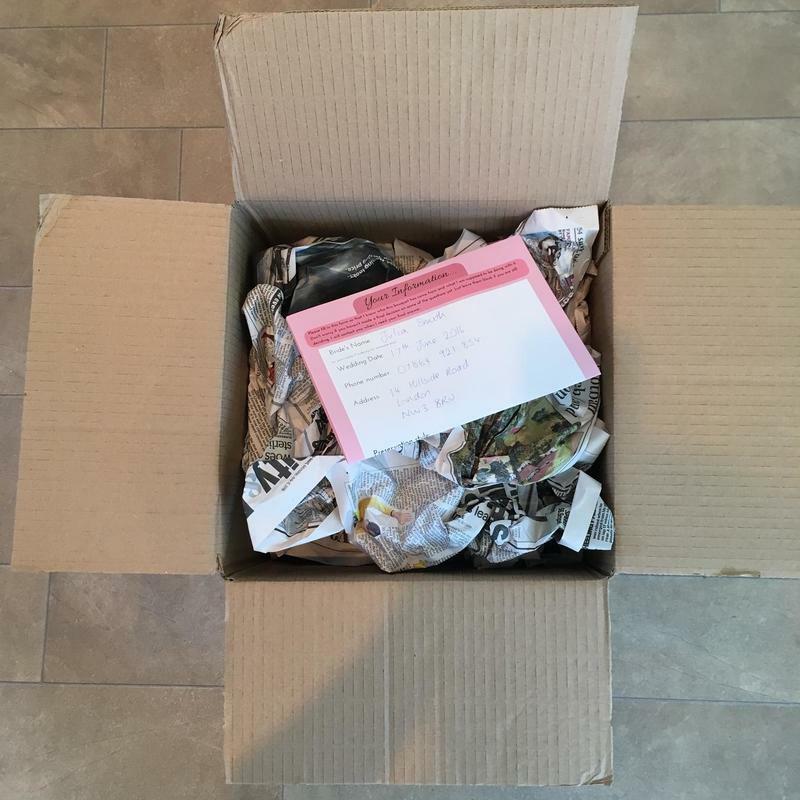 The P&P pack will make it so easy for them to package the bouquet safely without any stress for them or you. Please let me know if you would like one of these bundles sent out to you. Don't leave it too late! If you don't want to purchase a P&P Pack, these are the things you need to gather together before the wedding. Don't leave it until the morning after! You will be hung over/trying to pack for honeymoon/opening presents/looking at wedding photos on social media. 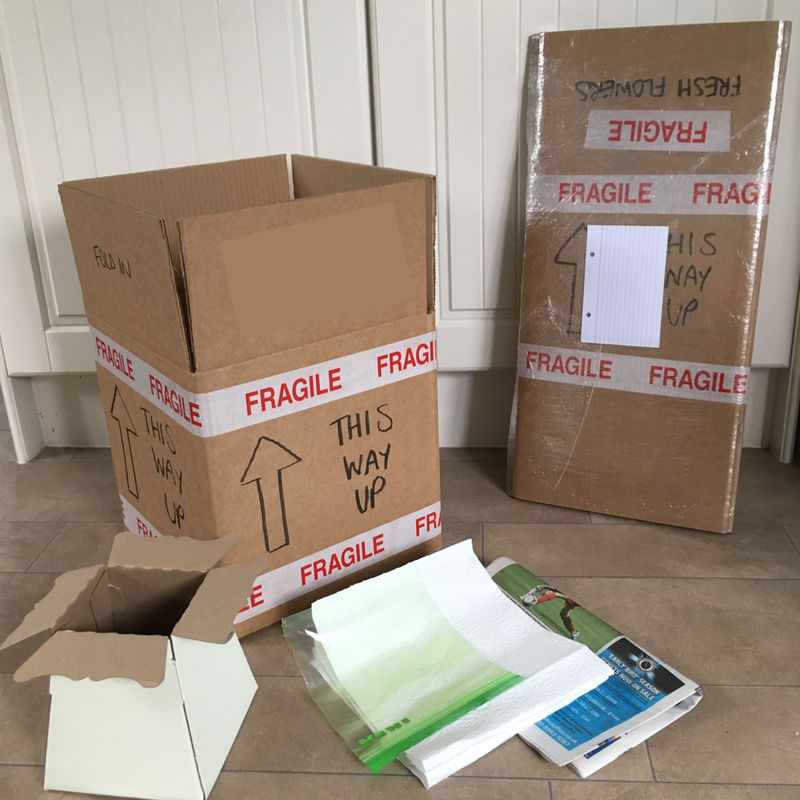 a sturdy cardboard box (ideally around 12"x12"x12") Make sure it is not more than 60cm high or the post office will make you use a more expensive service. a cardboard florists vase - your florist might be able to give you one, or you can buy one on Amazon here.